Hi friends! I'm over on the Sizzix Blog today with this elegant Home Decor piece using the Tim Holtz Alterations Line from Sizzix. I've also used the new Sizzix Glue Gun and I fell in love with the detail tip and finger caps so you don't get burned working on small things. Hello friends! I have a few kits left in my Etsy store if you're looking for a fun project to do over the holidays. Click here to head over to my Etsy store. 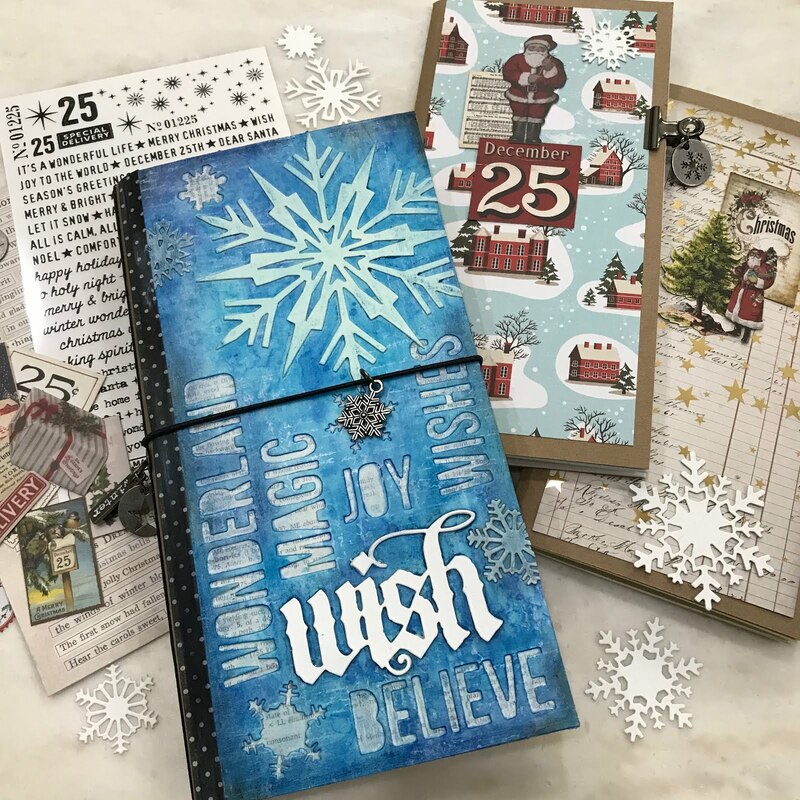 Design your own magical assemblage piece for the holidays filled with special treasures from the Idea-ology line. You will create a wintery scene with glittered trees, children playing in the snow, and even some sweet little deer in the woods. All the trinkets and treasures will be included to create this charming project to display for the holiday season. 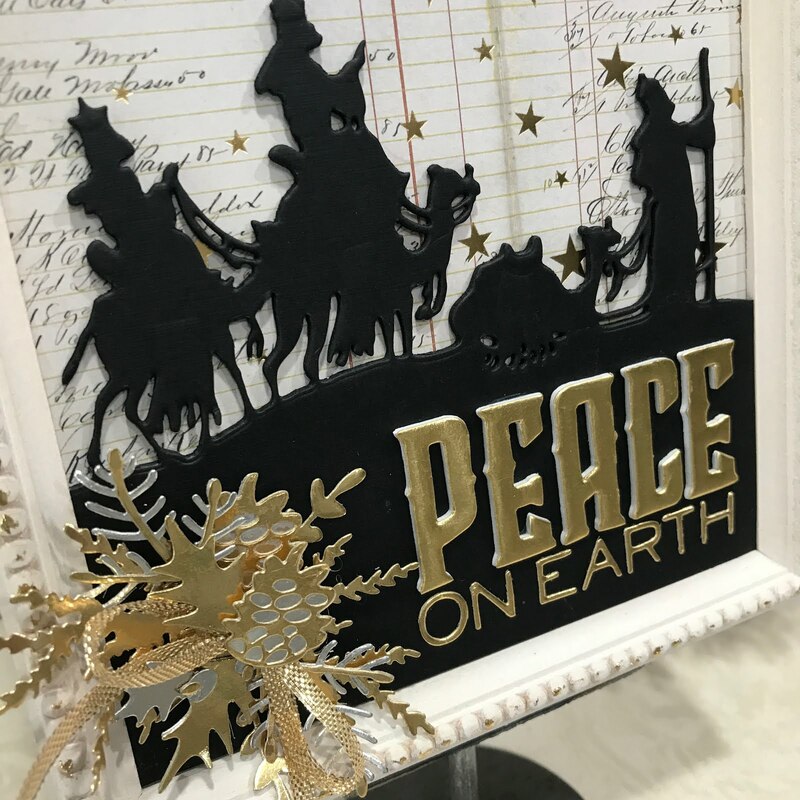 Paper Dolls, Baubles, Lights, Icicles, Stars, Charms, Trees, Die Cuts, Papers, Wood Blocks, Wood Slices, Pine Cones, Deers, Bells, etc... all included. Includes step by step instructions with photos. 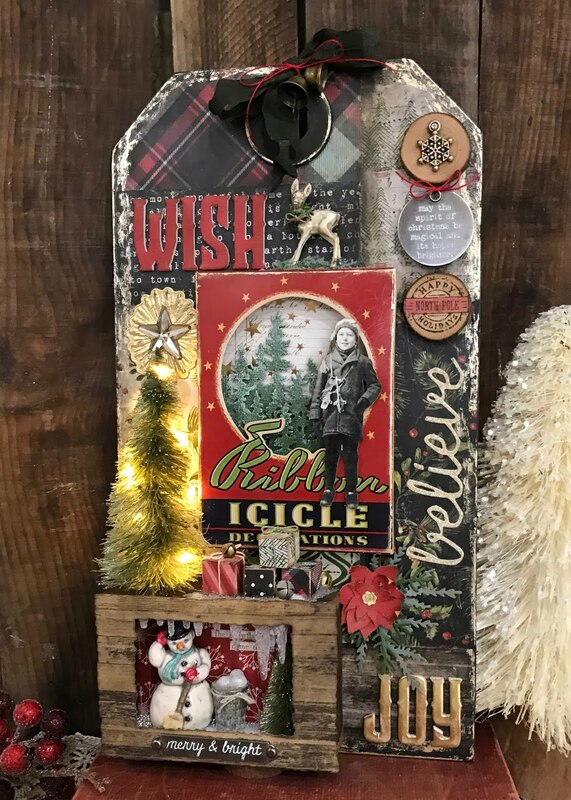 Create this magical Etcetera Tag for the holidays complete with a little Snowman, a lite tree and cute little presents under it. Learn the art of layering using some of my favorite Distress products. 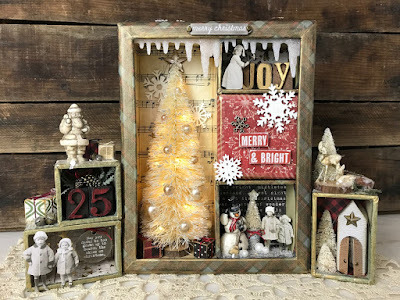 Includes Etcetera Tag, Vignette box, all die cuts, vintage ribbon, Idea-ology trinkets, fairy lights, wood blocks, stars, bells, deer, snowman, trees etc... You will love your finished piece to display for the holidays. Includes step by step instructions with photos. Explore your creativity using Idea-ology and Distress products to transform an ordinary Assemblage Clock into this beautiful holiday deco piece. 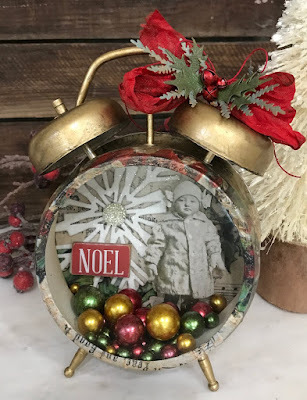 Includes... Assemblage Clock, die cut snowflake, canvas, collage paper, Paper Doll, Baubles (pearls), charms, trinkets and treasures. Includes step by step instructions with photos. Design your very own beautiful Midori style Art/Travel Journal that can be used for collecting memories, creating art, doodling or just playing with new techniques. You will be able to add and/or take out signatures anytime. Learn techniques to create this mixed media journal using layering and coloring with Distress Inks, Distress Sprays and Distress Crayons. The inside will have several signature including Watercolor cardstock, Heavyweight Mixed Media cardstock, dot paper and more. Kit includes cut journal cover, 4 booklets for the inside for you to decorate, vintage paper, Christmas papers, die cuts, package of mini ephemera, remnant rubs, clippings sticks, snowflakes, hinge clips, index clips, jump rings, story sticks, tokens, etc. Includes step by step instructions with photos.